Primrose House has sold for around $15 million. 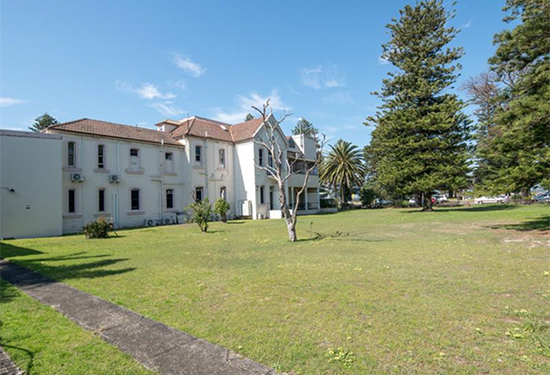 The Presbyterian Church is believed to have paid more than $15 million to keep historic Botany Bay property Primrose House out of the hands of developers. The church’s Property Trust coughed up the significant sum to secure the Dolls Point property, which had attracted interest from residential developers, childcare operators, hotel operators and schools, after Government Property NSW elected to sell it. Primrose House was built in 1891 and used as a Red Cross repatriation hospital for the war wounded from 1913 to 1936. It was also used as a private boys’ school, a club, a private home and a hotel, but was eventually sold to St George Hospital in 1936. Property NSW executive director of commercial transactions, Dennis Szabo, says the church’s commitment to preserving the property’s unique history and preparedness to match developers on price made it the standout bidder. Primrose House attracted significant developer interest. “We encouraged prospective purchasers to consider how they could preserve the heritage significance of the site, and options for its adaptive re-use,’’ Szabo says. Dolls Point residents lobbied heavily for the preservation of the property when they discovered it was to be sold. Savills’ Stuart Cox, Neil Cooke and Johnathon Broome ran the marketing campaign, and Cox says the church had stiff competition for the building and the prime land it sits on. “Rarely does a circa 6000sqm parcel of beachfront land situated within such close proximity to the Sydney CBD and all local amenities, get offered to the market,” Cox says.